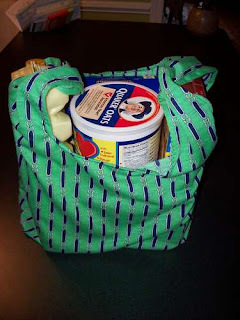 As I've been thinking about green living, one of the most practical things is toting reusable bags instead of the plastic ones at the store. If you're not a fan of the standard bags you find for sale, you can always make your own. (Don't forget Africa Bags and check out my blog about them). Planet Green - using recycled materials! I could not agree more! 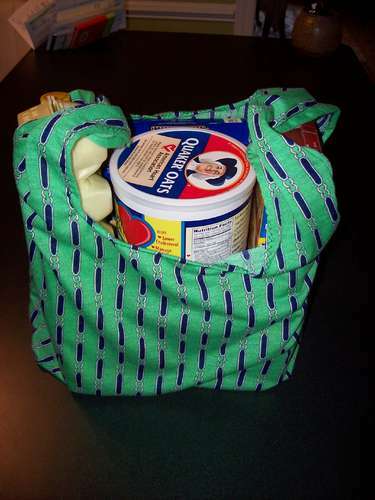 It is time to ditch plastic bags, and start bringing in our own reusables. So much better for this beautiful planet God created. I have asked my son to remind me (it's his job), and if I forget to bring them in...I walk back out to my car. After doing that a few times, I haven't forgotten since! C'est la Vie: Weeding... Again. C'est la Vie: Thursday Night Again?!? C'est la Vie: Sewing Project !